What is Congenital Facial Paralysis? Congenital facial paralysis is used to describe facial palsy that is present in children at birth. 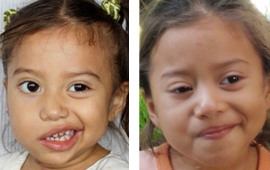 It is a rare form of facial paralysis that only affects a small number of children. Congenital facial paralysis, also known as developmental paralysis, makes it difficult for children to express emotion, close their eyes, nurse, and can be coupled with other disorders or deformities. If left untreated, congenital facial paralysis can have an adverse effect on a child’s speech development and ability to express emotions. At the Facial Paralysis Institute in Beverly Hills, expert facial plastic surgeon Dr. Azizzadeh is committed to providing the highest level of care and treatment to children with congenital facial paralysis. Moebius syndrome is a form of congenital facial paralysis that affects a child’s ability to express facial emotions and control movement with their eyes. Children born with Moebius syndrome have paralysis of the 6th and 7th cranial nerves. Most children with Moebius syndrome have difficulty with the ability to smile, frown, blink, move their eyes laterally, and make sucking motions with their mouths. They have cross eyes known as strabismus. Children with Moebius syndrome can have a mask-like appearance and a blank expression on their face at all times. Other symptoms of Moebius syndrome include excessive drooling and clubfoot. Dr. Azizzadeh encourages parents to seek treatment options for their child’s congenital facial paralysis and Moebius syndrome before they reach schooling age. What is the Best Treatment for Congenital Facial Paralysis? 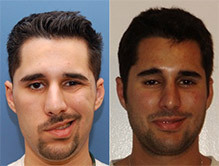 At the Facial Paralysis Institute in Beverly Hills, renowned facial reconstructive surgeon Dr. Azizzadeh uses only the most advanced surgical treatments to ensure that children with congenital facial paralysis will regain control of their facial movements. There are several innovative procedures that Dr. Azizzadeh utilizes and he consults with each individual patient to determine which treatment is right for their unique situation. 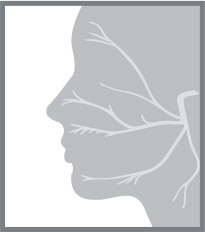 Children with one-sided facial paralysis can undergo gracilis muscle transfer connected to the normal side of the facial nerve. This can be done at age three or four. There are a select group of children that can potentially have surgery at an earlier age but need to be evaluated individually. Even though Moebius patients have bilateral congenital facial paralysis, they may still undergo a gracilis muscle transplant. During this revolutionary procedure, the gracilis muscle from the thigh is transplanted along with its nerve, artery, and vein into the face. The gracilis muscle is then attached to the masseteric nerve that controls the muscle for chewing, which allows the patient to control facial movement voluntarily. There are several innovative treatment options, however, and Dr. Azizzadeh will assess each patient carefully to decide with cutting-edge procedure will produce the best results. Who Should Perform Congenital Facial Paralysis Surgery? It is important that surgery to correct congenital facial paralysis is only performed by a board-certified surgeon who is highly trained and experienced with facial paralysis patients. 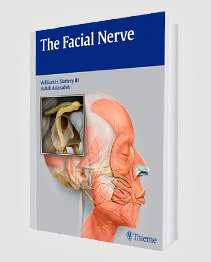 Performing surgery on and around the facial nerve takes a high level of skill and expertise that not all surgeons possess. Facial paralysis surgery is an intricate and delicate procedure that should only be performed by a surgeon with specialized training in the area of facial paralysis. Dr. Azizzadeh not only meets all of these criteria, but is also considered a pioneer in the field of facial paralysis treatment. 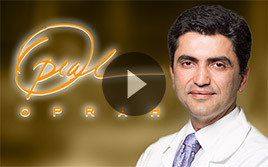 Patients are truly in the best hands when in the care of Dr. Azizzadeh. Schedule a Congenital Facial Paralysis Consultation in Beverly Hills Today! If your child is suffering from the devastating effects of congenital facial paralysis, contact our office today to schedule a consultation with renowned facial reconstructive surgeon Dr. Azizzadeh. Call (310) 657-2203 and speak with the facial paralysis experts today!